Defense Applications & Technologies | Perfect Parts Corp. The applications for electronic components in the defense industry are almost too many to list. From cyber security and smart grid tracking systems, massive private communication networks that span the globe, intelligent computer systems that analyze incoming security threats, and even radars are just a handful of things the defense Industry covers. 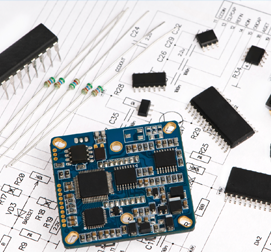 Products include everything from RF devices, semiconductors, relays, transmitters, and encoders and more.